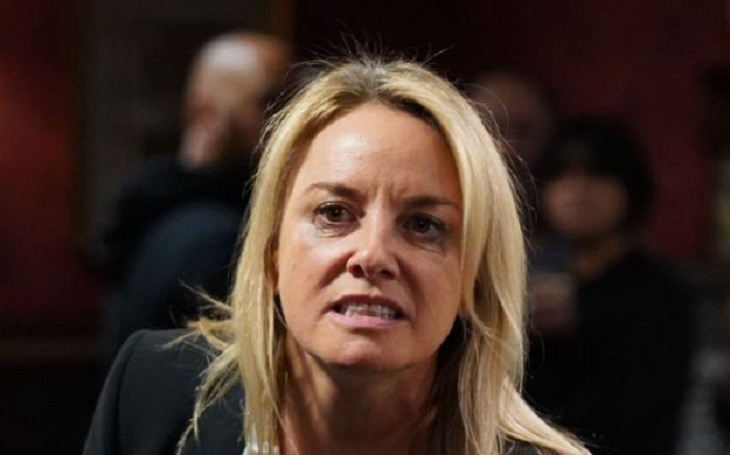 On “EastEnders,” Mel Owen (Tamzin OuthWaite) instantly becomes public enemy number one when she defends her killer son Hunter Owen (Charlie Winter) against the locals on the Square. She didn’t think twice when she decides to confront them with some hard truths. The new year has brought a lot of drama to the mother and son tandem, Mel and Hunter. Viewers of EastEnders may recall that Hunter gunned Ray Kelly (Sean Mahon) down in the woodlands to protect his mother, Mel. 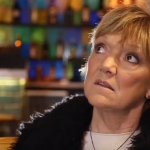 Mel did her best to protect her son and made plans to flee the country. But Jack Branning (Scott Malsen), surprisingly, tipped off the police about her plans, which led to Hunter’s shocking arrest. With Hunter’s impending plea hearing, Mel does her best to get some support from the residents of Walford, as suggested by Hunter’s solicitor. She tries to convince people to attend Hunter’s hearing but her efforts prove futile when she discovers the locals have been gossiping about her son. Mel may have been able to put her feelings aside after Ben (Max Bowden) deliberately annoyed her, but she will no longer keep quiet after finding out that everyone has been talking about Hunter. She vents out her anger and gives all of them a piece of her mind. As expected, the residents become furious, but there is one person in particular who is extremely livid about Mel’s actions, Karen Taylor. What ugly truths will she reveal to the residents of Walford? Nobody knows what will happen at Hunter’s hearing, but one thing’s for sure, Mel will definitely be there to support her son. Apart from the squabbling in the Vic, Mel targets another person amidst all the problems that she and her son are facing, Phil Mitchell (Steve McFadden). She asks for her share of money from the laundering. The only problem is that Phil is broke. His son, Ben, is shocked as he finds out his father is in such a mess and suggests that they rebuild the Mitchell empire together. What is Mel planning? What is the money for? Will Phil give in to her demands?